Starring: Rosalind Russell, Lee Bowman and Adele Jergen. This is such a wonderfully ridiculous romcom with Roz playing a psychiatrist who is seemingly equipped (or so she thinks) to deal with every situation except falling in love. I was so excited to finally watch all of this beautiful film. I laughed, I cried, I fell in love with it. Irene plays Mama, the matriarch of a poor Norwegian family living in San Francisco at the beginning of the 20th century and the story centres around the families trials and tribulations throughout the years. You remind me of a man! Remind me of a man! Ava Gardner plays Venus, the Goddess of Love, in this adorable little gem of a film. I thought it was going to be good, but I didn't realise just how good. Everyone is just wonderful and Eve Arden is BRILLIANT. That woman can do no wrong in my eyes. Ava was perfect as Venus... how can someone be that beautiful?! She can't have been real. All I'm going to say is, I hope that I'm like Ethel Thayer (Sounds like I'm lisping, doesn't it?) when I'm older, and that I have a Norman! Hollywood never seems to bother to make many films about "old love", which is really rather sad because it's so beautiful. The fact that it's lasted for so many years - decades, even - through the good times and the bad is just truly wonderful. This is the most bizarre yet highly entertaining film I have ever seen (possibly... ). I love Greer and Robert Taylor together (they also starred together in When Ladies Meet (1941)) and they are both so cheeky and adorable in this. It's definitely not as terrible as people make out, in my opinion. I cried and cried and cried whilst watching this film. Just go and watch it... right now!! 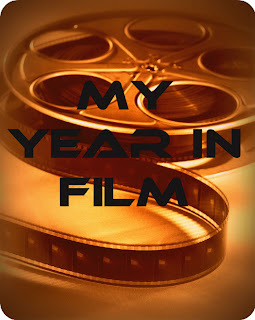 So, there you have my March in film! A very busy movie watching month you had there Sophie. I like the format of this post and sharing it with all us. I love that scene from The Bachelor and the Bobby-soxer as well. I can't wait to see what you have on tap for april. I saw I Remember Mama years ago and I've been wanting to see it again for quite a while. The play and before that the book on which it was based (Mama's Bank Account by Kathryn Forbes) are equally wonderful.